Vatican City, Sep 21, 2017 / 01:29 pm (CNA/EWTN News).- In a meeting with Italy’s Anti-Mafia Parliamentary Commission on Thursday, Pope Francis said that dismantling the mafia begins with a political commitment to social justice and economic reform. 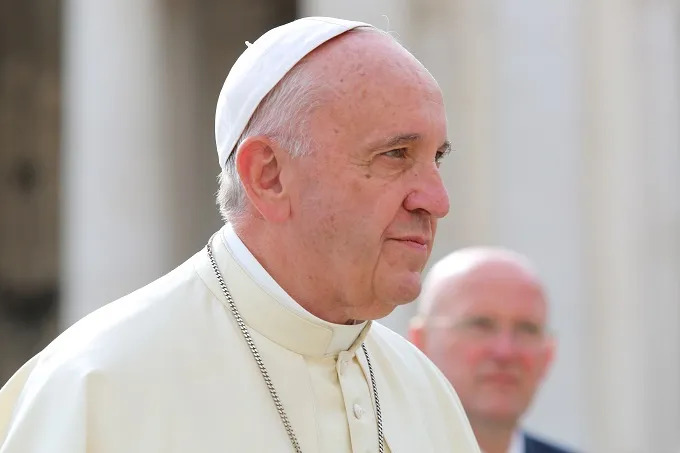 Corruption “has a contagious and parasitic nature, because it does not nourish what good produces, but…it subtracts and robs,” Pope Francis said Sept. 21. The meeting landed on the 27th anniversary of the death of Servant of God Rosario Livatino, who was a deputy prosecutor in an Italian court before being killed by mafia for his fight against corruption. Called a “Martyr of Justice” by John Paul II, the Italian magistrate was commended by Pope Francis, who also praised two other judges – Giovanni Falcone and Paolo Borsellino – both killed in 1992. The Pope’s criticism of the mafia made global headlines when he publicly denounced organized crime in 2014. He said members of it were “excommunicated,” which was not a reflection of canon law per se but a call to conversion. However, the battle extends beyond the mafia to corrupt organizations which must also be reclaimed and transformed – and this needs commitment on an economic and political level, he said. First, politics must enable charity “to ensure a future of hope and to promote the dignity of each person.” And second, economic reform must be shifted to remove systems which magnify inequality and poverty. “The money of dirty affairs and mafia crimes is blood money and produces an unequal power,” he said. He then challenged the international community to greater collaboration and determination to ensure justice and defense for the weakest in society. Serving the sick, aged and dying is a noble calling.